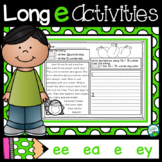 This is an activity for students to practice reading and sorting words by their long and short e sounds. All words have the /ea/ spelling. Also included is a recording sheet for students to record their work. This activity could be used in a small group setting or as a center activity/game. 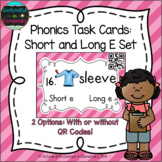 Short & Long e Spellings- Watch Out for the Web! 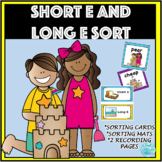 This activity gives your students practice with the two sounds of "ea" They sort the word cards into short or long ea sounds using the sorting mats. A recording page is included. This would be great as a literacy station or small group work! 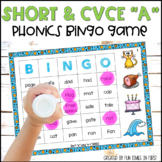 TpTFLOCK16 Do your students have trouble distinguishing between the short and long e vowel sounds? If so, this is the product they need. 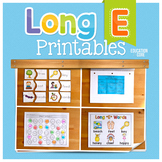 In this 9 page packet, I have included a sorting mat and a sheet of 16 short/long e words that can be printed once, laminated and used over and over for a center. 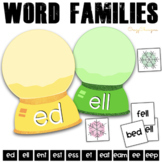 Word Family Dice Games : Short and Long A and E sounds-44 games!